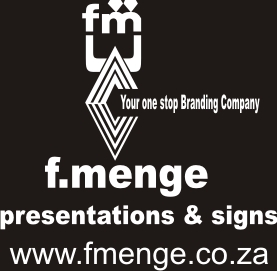 F.Menge Presentations & Signs has been established since 1952 and operates from Bethal in Mpumalanga to serve all the industries and Mining companies abroad. Our core business is the Supply and Branding of Industrial personalized gifts and clothing for safety and achievement awards. We have grown and are continuing to grow. Service to all our customers is our first priority.